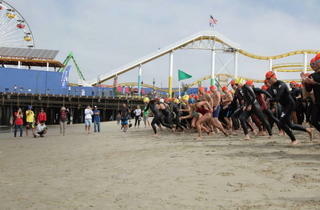 Nothin' says summer like an all-day beach and water sports extravaganza at the Santa Monica Pier. At this annual Paddleboard Race and Ocean Fest, register for a myriad of paddle and swim competitions, or just swing by for the surf themed pop-up museum, kids' activities, eatables, drinkables and tunage. 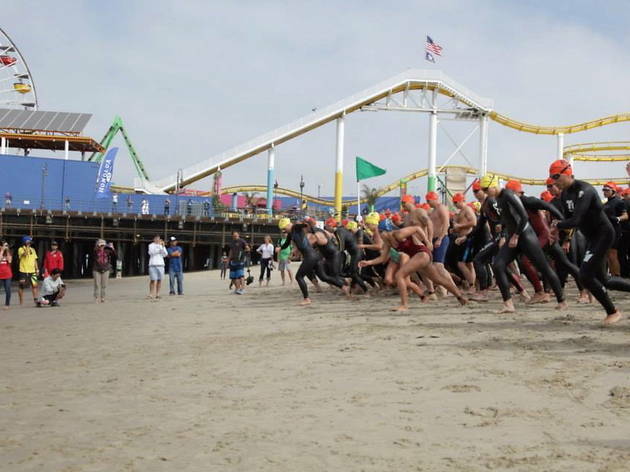 Beach competitions range from the kids' 250 meter swim ($10 to register) to the adult mile-long and team relays for those vying to win the Club Challenge Cup (both $50 to register). Buy a raffle ticket and sign your family up for a race—the day's total prizes are worth over $16K, and you're gonna want a piece of that pie. Great for me and my kids.